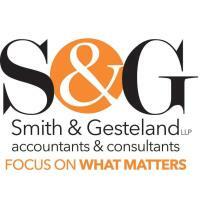 Smith & Gesteland Accountants and Consultants is proud to announce that they were recently named as one of the 2017 Accounting Today’s Best Accounting Firms to Work for in the country.This survey and awards program is designed to identify, recognize and honor the best employers in the accounting industry, benefiting the industry’s economy, workforce and businesses. The list is made up of 100 companies. Companies from across the United States entered the two-part survey process to determine Accounting Today’s Best Accounting Firms to Work for. For more information on Accounting Today’s Best Accounting Firms to Work for program, visit www.BestAccountingFirmsToWorkFor.com.